Flies like poo. Chickens contribute lots of that. Therefore, it stands to reason that anywhere there are chickens, there’s bound to be flies. Flies also like moist, leftover food (the kind thrown in the compost bin regularly). Combine chickens and compost together and you’re liable to be in a big mess before you know it. Flies are nasty things. They spread disease and can even lay their eggs inside chickens causing eventual death. Not to mention having your house clouded with flies isn’t enjoyable (or healthy). 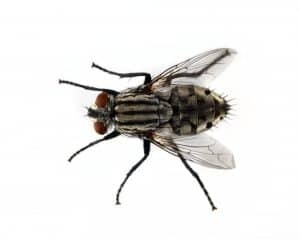 There are ways to keep fly control in check, however, so don’t despair if it looks like the flies are getting the best of your backyard. Keep the coop and run clean. The less poo there is, the less attraction there is for flies to visit. Regularly apply a layer of straw to your chicken run and area around the coop. Pick up the leftover rinds, pits and other food scraps you feed your chickens after they’re done eating. If you have a poopy butted chicken, clean them up. Apply dry things (leaves, straw, etc.) to your compost bin regularly to balance out the more moist stuff. This year I decided to try essential oils for fly control. There are a few great oils that work against flies (and smell great). There are a few different oils to pick from that are known for their fly-repelling properties. 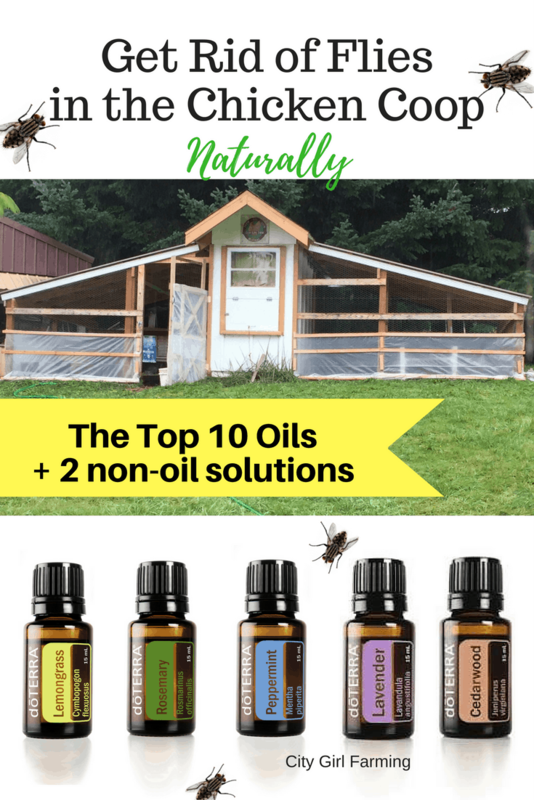 To use these oils to get rid of your fly problem, there are a couple different things you can do. First, get a spray bottle and fill it with water. Add 20-30 drops of any (or a combination) of the above oils. Shake well before spraying and spray around the coop area and other places the flies are congregating. There are also fly catching techniques to help trap and kill flies the chicken yard (or anywhere else for that matter). I’ve heard from several places that a few SHINY pennies in a baggie of water, taped over doorways detract flies (who think the pennies are dragonflies, a dreaded enemy). I haven’t used this at my coop because you need sunshine to reflect off the pennies and my coop only gets morning sun—otherwise it’s shaded under several big trees for the rest of the day. A Disposable Fly Trap. I’ve used these and they work. Simply fill up the bag with water and the stuff they put inside creates a smell that attracts flies (it’s stinky though, so don’t hang it close to the house, or down wind from where you hang out). It catches flies by the dozens. These work great, but like I said, they’re stinky. Make your own trap similar to the one above using a 2 liter soda bottle or water bottle or other plastic bottle that you can cut up. 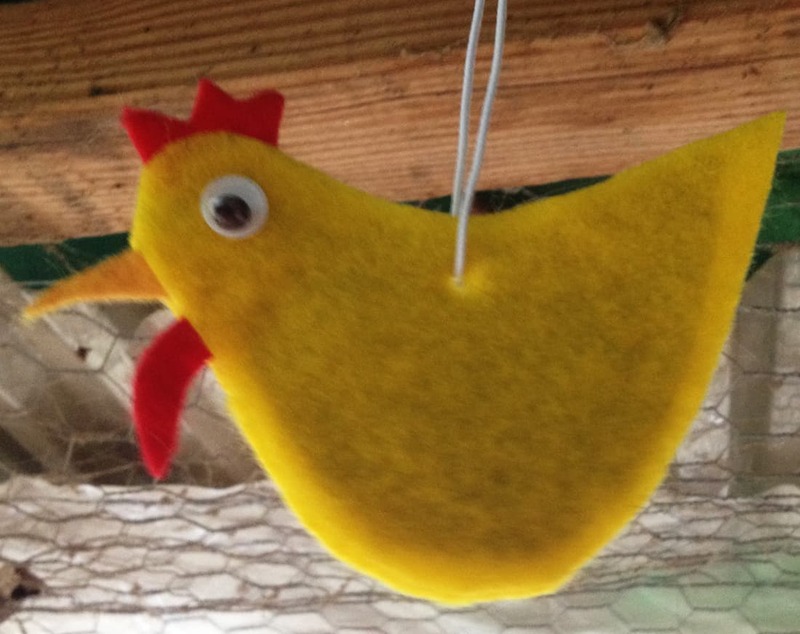 The bottom line is that just because you’ve got chickens doesn’t mean you have to have flies. It takes some consistent upkeep to keep them at bay, but it’s completely do-able. And totally worth the effort. For both you and your flock.